After the invention of the Amazon Kindle, my reading list quickly grew to a mile-long. With the release of Oyster Books, it easily doubled. Combine those lists with my own personal list stored in Evernote and one could easily build a literature skyscraper. Pruning my reading list down to the "important" books has proven nearly impossible. They all seem just as important as the day they made the cut. Like many, I read to learn. I read to grow. I read to build my character and deepen my understanding of the world. How could I possibly shrink a reading list built on aspirations of education, growth, and personal development? I can't. For my entire life, this seemed like the correct formula. Looking back on shelves full of hundreds, if not thousands of books read provides a certain satisfaction for the intellectually inclined. Yet, while looking at the shelves, I realized that any effect these books had on me was fleeting. Some books were long forgotten, others a vague memory. My problem? I wasn't reading to remember. And for what other purpose do we read than to remember!? We plow through book after book, forgetting much of what we read faster than it takes to pick the next book in our list. Maybe, in some cases, that is okay. To an unknown extent, what we read may be unconsciously absorbed and just might influence our thinking down the road. As Ralph Waldo Emerson once said, "I cannot remember the books I've read any more than the meals I have eaten; even so, they have made me." But some books we want to consciously influence our life and work. We want to recall the influential passages, draw on them for inspiration, and have them readily available in times of need. Unfortunately, memorizing everything we read is simply impossible, and we rarely have the time to memorize even a few important passages from our books. Even if we did, stopping to commit every inspiring passage to memory would take away from the overarching message. It is out from these two problems--our inability to immediately memorize every important point and our lack of time to commit these points to memory--that the process of "reading to remember" is born. 1. Read with a Pen: When reading to remember, the first thing we must do is highlight or underline important passages and concepts. Highlighting a book while reading may be foreign to some, but it requires little thought, is not highly intrusive, and is a way of engaging with the books content more actively than without. 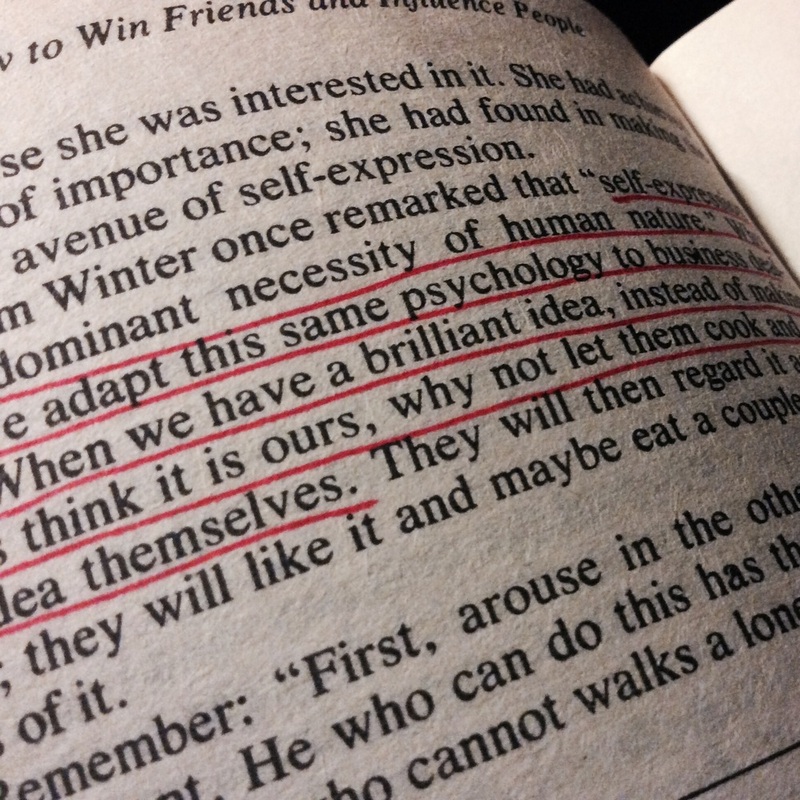 Simply highlight passages that mean something, reveal a personal weakness, fulfill a goal, are inspirational, etc. We're going to come back to these highlights later, so if you feel you might forget the context, take some brief notes so as not to forget why the passage inspired us to begin with. Once you've finished the book, it's a good idea to write down any thoughts on the book as a whole. How did it change you? What concepts did you find powerful? What can you use immediately for work, home, life? Jot them down on the inside cover--we'll come back to these later also. 2. Set a Book-Review Reminder: With the book complete and full of your highlights and notes, think about how much or little you want the concepts to influence you. Is this book something you'll use every day at work? Maybe just something you want to be reminded of one time a year? Whatever it is, set yourself a one-time reminder. This reminder is the key since, when it fires, this is when you take the time to review (in one sitting) all the highlights and notes from the book. Setting a one-time reminder (vs. a recurring reminder) is important: If you miss a one-time reminder, it will stick around until you mark it complete. With a recurring reminder, it is too easy to wait for the next reminder in the series should you miss the first. Additionally, every time you review your highlights, you'll want to evaluate how far in the future you want your next reminder to fire. If the highlights are no longer inspiring or have become ingrained in your character, you may not need to review your book again (and you'll know this process has worked). 3. Review and Update Your Highlights: Your reminder has fired, so now it's time to review your book. Your goal during this review is to refresh in your mind the concepts you once found meaningful. If it no longer is, remove it. If it's even more so now, highlight it! Yes, it's okay to highlight the highlights. Make notes next to the highlights that make you think... put some new context next to your previous thoughts. This review is the biggest change we make in our reading habit. By reviewing the useful and inspirational information in the books we read on a periodic basis, we are truly making an effort to commit this information to our character and our minds. You'll be surprised at how each review uncovers new insights into old information. Additionally, as our lives morph, so too will the effect this information has in our lives after each review. 4. Goto : Don't forget to set another reminder when your review is complete. You decide how far into the future you wish to re-review this information. I find monthly is useful for books containing the type of information used daily, and yearly for books I want to remember once in a while. Additional Tip: For my first review, I like to transfer all my notes and highlights to Evernote. You can use any note taking system that works for you (including pen and paper)... the point is to get all your notes and highlights from a single book into a single note that can, at your next review, be read in one sitting like a "Cliff's Notes" of the book itself. We know reading is important to personal growth, but it's difficult to remember the important things we read months or years down the road. By adopting the process of reading to remember, we'll be prompted to review this important information on a periodic basis. Instead of pushing through book after book; instead of blindly forgetting that which is important to our lives, we can take a more active approach to reading--an approach that builds relevant and inspirational information into our minds and characters over time. Do you have a process for reading to remember? Do you have other methods for capturing and recalling important information from the books you read? Please share it here in the comments below!